CLEVELAND, OH (WOIO) - It's been three weeks since a grand jury decided not to indict two Cleveland police officers in the shooting death of Tamir Rice, 12. Monday, his mother talked about every day being an emotional struggle. "I am in this fight for Justice for Tamir. 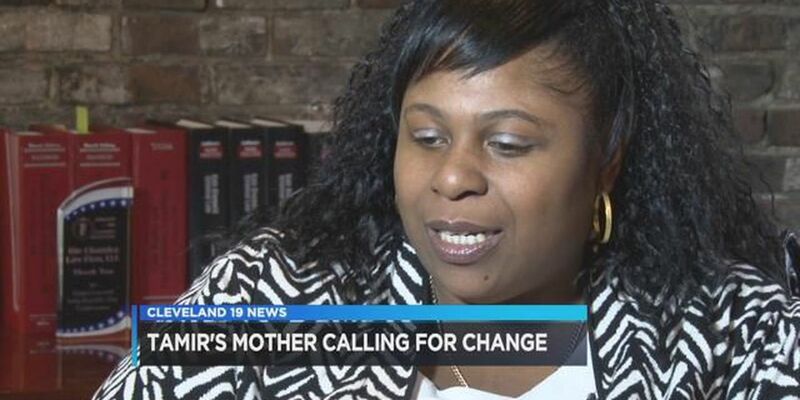 That is my motivation on getting things accomplished and hoping for change," Samaria Rice said. Some on social media have attacked her and Tamir after he was shot and killed by Cleveland Police Officer Timothy Loehmann at Cudell Rec Center. Many posts are filled with racism and hate. "It doesn't bother me to a certain extend because I'm not going to entertain stupidity," Rice said. Tamir Rice, 12, was fatally shot Nov. 22, 2014, at the Cudell Rec Center on West Boulevard while carrying a pellet gun. Samaria still in shock over how the Cuyahoga County Prosecutor's Office treated her and her family in front of the grand jury. "I believe the way the prosecutor tried to make me feel when I was in front of them, they were almost like attacking me. That was a little uncomfortable but I still held my composure," she said. A grand jury handed down no indictment of Loehmann or his partner Frank Garmback. County Prosecutor Tim McGinty recommended no charges and has said a number of times he was just doing this job. The announcement came down Dec. 28, 2015. "My family is terrified of the police. I am terrified from the police being pulled over by the police in this day and age you don't know what to expect." Samaria is now an advocate for Special Independent Prosecutor's for all police-involved shootings and wants federal criminal charges handed down against Timothy Loehmann. "I feel sorry for him but there defiantly has to be some accountability for the murder of my son, it's just quite sad."